Totalizing Counters and Timers are lithium battery powered. Panel-mounted series CH and TH Counters and Timers include 7-digit LCD display with push-button reset. CH counters accept non-voltage contact closure/NPN open collector, PNP 6-24 Vdc or 90-240 V ac/dc inputs, and offer one count per pulse function. TH timers accept non-voltage contact closure/NPN open collector or 90-240 V ac/dc inputs, and are available with timing function of minutes or hours. The latest addition to Fargo Controls' expanding line of products is Fargo's CH & TH Series of Totalizing Counters & Timers. Our Totalizing Counters & Timers have a small panel footprint and are powered by a lithium battery (10 year battery life). They have a 7-digit LCD display, a push button reset and are panel mounted. The reset function can be disabled if desired. The CH & TH Series accepts a wide range of inputs. Our CH Counter Series accepts non-voltage contact closure/NPN open collector, PNP 6-24VDC or 90-240V AC/DC inputs. It has a one count per pulse function. 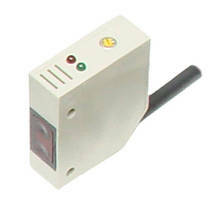 Our TH Timer Series accepts non-voltage contact closure/NPN open collector or 90-240V AC/DC inputs. Our TH Series is available with a timing function of minutes or hours. 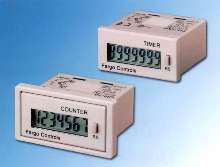 These counters and timers are designed as replacements for electro-mechanical counters, applications where no external power is available, event counting and elapse time indicating. Some typical applications include: Amusement machines, dispensing machines, ticket machines, copiers & printers, utility meters, and portable equipment. List price starts at: $29.00 each. They are available for immediate release. 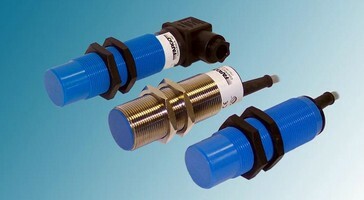 Miniature Proximity Sensors come in stainless steel housing. 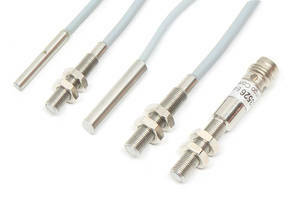 Diffused Photoelectric Sensors feature 19.69 in. range. 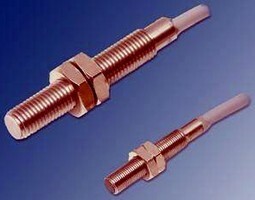 Inductive Proximity Sensors withstand temperatures to 248°F.